Join Whole Fitness for a targeted core workout. 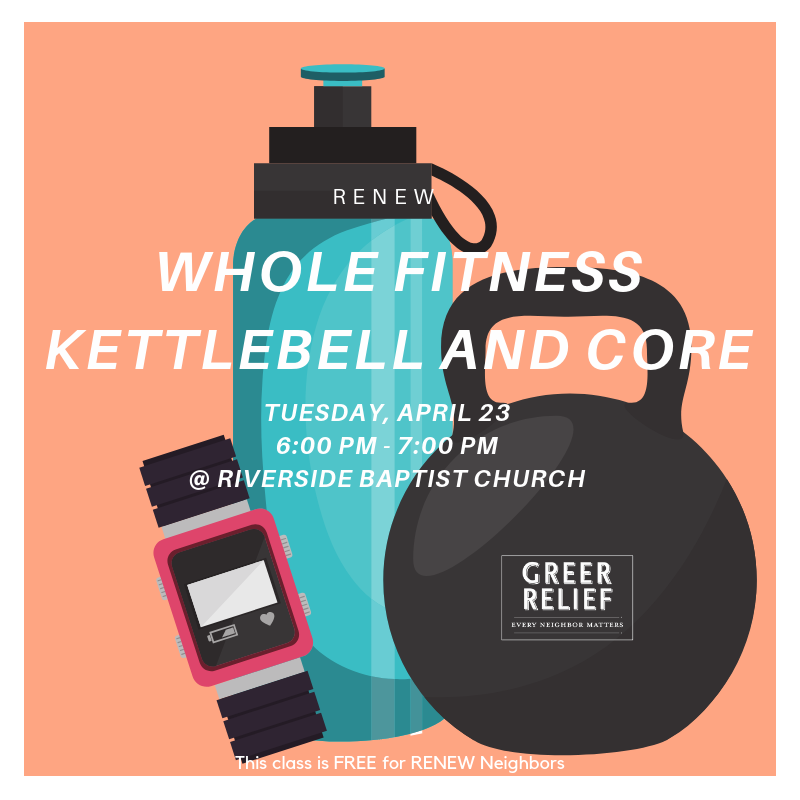 This class will be held on April 23 from 6:00 PM – 7:00 PM at Riverside Baptist Church . Only those 18 and up can receive a RENEW Reward. Register here.